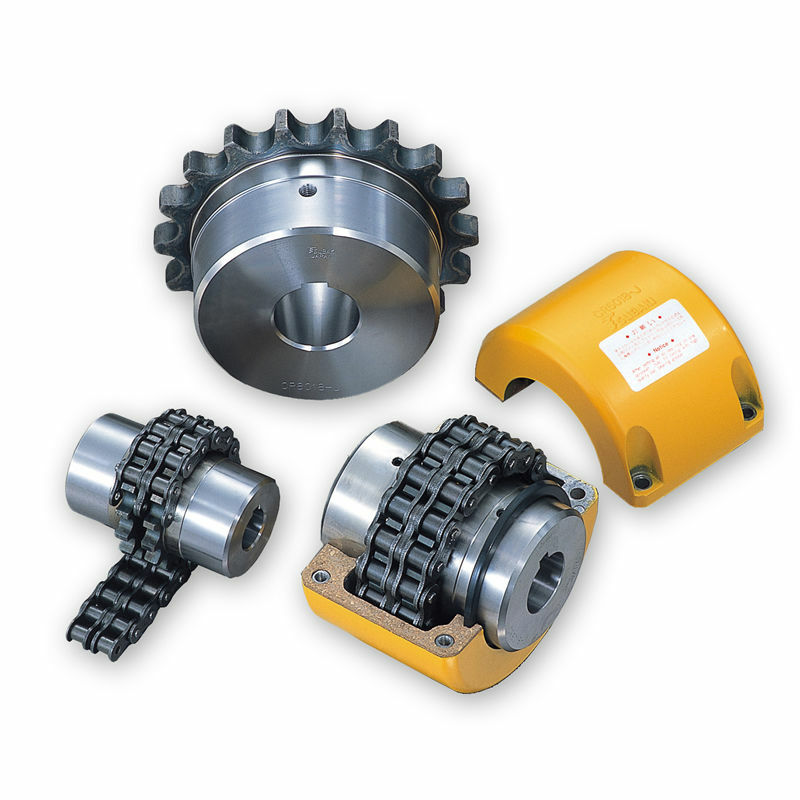 Tsubaki Roller Chain Couplings are flexible couplings consisting of two sprockets and two sturdy strands of chain. The sprockets are coupled when the chains are wound around the sprockets and decoupled when the chains are removed. This allows for the coupling and decoupling of transmission power without moving the transmission system. They are available in a wide variety of sizes and can be used for any general power transmission application. (Roller Chain Couplings require lubrication.) 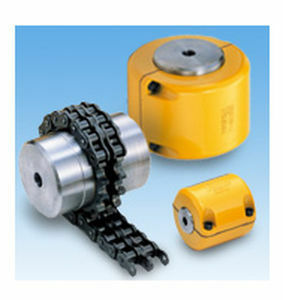 Meanwhile, Tsubaki’s Nylon Chain Couplings use polyacetal or other plastic for the chains, and are suitable for food equipment and light duty conveyors. All models are RoHS compliant, and require no additional lubrication.